Are dogs and cats natural enemies? Yes, they are. Dogs and cats are two very different species and they see each other as potential prey. But this doesn’t mean that they can't get along. In fact, many households have proven that dogs and cats can become best friends. Here are some tips on how to make a dog and a cat become acquainted. When there is a problem between cats and dogs, it is usually caused by the dogs. This is because dogs have a higher prey instict. They will instinctively go chase after small and fluffy animals like rabbits and cats. This causes cats to fear dogs. One way to curb this unwanted behaviour is through obedience training. Your dog must to be taught that chasing cats is an unacceptable behaviour. Teach your dog basic commands like ‘sit’, ‘stay’ and ‘down’. These commands will help you to handle your dog more easily during the interaction between your dog and your new pet cat. Moreover, obedience training also improves your communication with your dog and develop a trust bond between the two of you. You should allow interaction only under your supervision especially the first few weeks after your cat and dog have just met. This is to protect both your cat and dog. Your cat and dog may become aggressive and end up hurting one another when they are left alone. Prepare ‘safe spots’ where your cat can run to and hide from your dog whenever it feels threatened. Remember that your dog should not have access to these ‘safe spots’. Typically, these ‘safe spots’ are usually on higher places such as on top of the refrigerator, book shelf and window perch. Apart from a ‘safe spot’, you also need to prepare different eating and resting spot for each of your pet. You should let them have their own territories because both dogs and cats are territorial animals. While humans depend primarily on vision, animals like cats and dogs use both its smell and sight to assess their surroundings. Letting your cat and dog recognise and accept each others scents is an important process that they have to go through before they can get along. There are some tricks to get them to get used to each others scents quickly. You can swap their bedding, or simply rub a towel on your cat and place it next to your dog, and vice versa. Hopefully, your cat and dog are able to get used each other scent in no time using these tricks. The goal of desensitization is to reduce the reaction of your dog towards your cat through continuous exposure. Many dogs tend to get too excited when they first see a cat. Their overreaction could cause the cat to feel uneasy and make it difficult for your dog and cat to interact. A baby gate is one of the ways to archive desensitization. A baby gate allows you to separate your dog and cat, but they still can view and sniff each other through the gate. If you notice your dog being too fixated on the cat, divert its attention by using toys or practice cues. Through desensitization, your dog will eventually lose its interest in the cat and probably won't overreact when it sees the cat because it is already familiar with the cat's presence. If your cat tends to run away during the meeting with your dog, let it be. This means you cat is not ready for an interaction between a new dog. Give your cat more time. Do not try to force an interaction between your cat and dog as this could lead to a negative outcome. You should avoid scolding your dog in all circumstances. Imagine if you scold your dog every time it interacts with the cat, your dog might think that it’s the cat’s fault as to why it is getting scolded. This will increase the tension between your cat and dog. If your dog is being friendly towards the cat, reward and praise him. This will encourage your dog to continue to show a more positive behaviour towards the cat. If you are lucky, your cat and dog can become friends within a couple hours. But that won't usually happen. It takes time for cats to adapt to the dogs and similarly for the dogs to learn how to behave around cats. Be patient and your cat and dog will get along eventually. It's just a matter of time. Before you add a new furry companion to your household, here are some important things you need to take into consideraton. Puppy and kitten: A puppy and a kitten that grow up together are more likely to develop a close relationship. If you have a kitten and want to adopt a dog as your new companion, you can consider to get a puppy instead of an adult dog and vice versa. Puppy and adult cat: A well socialised adult cat usually won’t have any issues with a puppy. However, an active and playful puppy could annoy the adult cat. Kitten and adult dog: Like puppies, kittens are fearless and active. Thus, they can get along well with adult dogs. The problem is kittens are more vulnerable compared to adult cats. Adult dogs may unintentionally hurt the kitten during the interaction. It is recommended to keep the young kitten separated from the existing adult dog and only allowing them to interact when the kitten is fully grown. If you wish to let them interact, make sure all of their interactions are under your supervision. 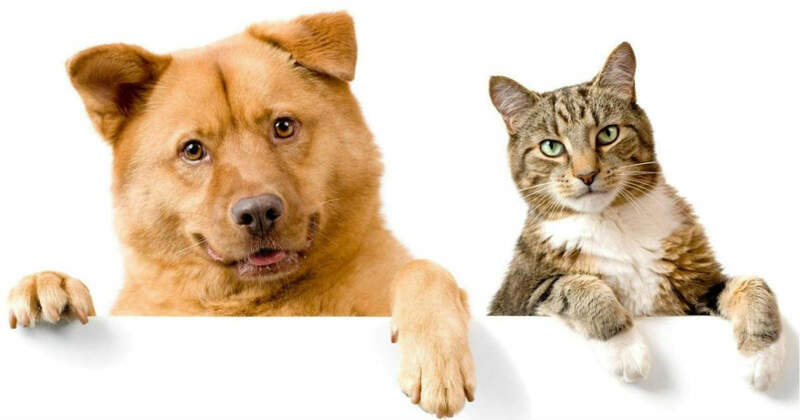 Adult cat and dog: There is a possibility that two well socialised adult cat and dog can become friends easily. All you need to do is to properly introduce them to one another. When you are introducing new fluffy members to your pets, make sure your cat or dog is prepared to meet the new family member that is not the same species as it is. It does not matter which pet came first, the most important thing is that they are comfortable with one another. The issue with compatibility is either the dog is too playful or the cat is too fearful. Therefore, the most important aspect in choosing a new pet cat or dog is matching its personalities with the existing pet. If you have an active and playful dog, you may want to consider getting a cat with the same personalites.